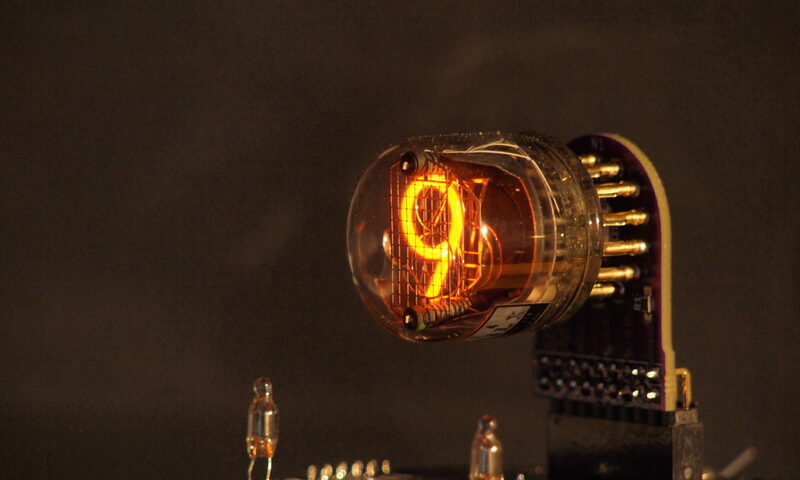 The GR-1 is one of the first nixie tubes made by Rodan-Okaya (the other being the larger GR-2). You can see that the lettering on the tube is spelled Rodin, which is typical of the earlier tubes. This tube became the GR-201 and eventually the CD11. See the GR-201 page for photographs of one of these tubes lit up and for a family photograph! The GR-1 is a ‘regular’ lifetime nixie, which means it is not doped with mercury. Later versions, starting with the GR-201, are long lifetime nixies. The datasheet is at the end of this page.